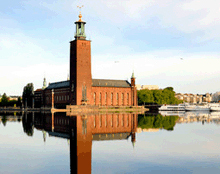 Stockholm City Hall is perhaps the cities most distinguished feature. The building was opened in 1923 and is built out of 8 million brick stones. The Nobel banquet and hundreds of other parties are held in the beautiful banquet halls every year. 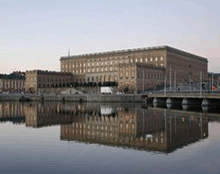 The building also holds the offices of politicians reigning over Stockholm. A masterpiece of architecture and art. Guided tours are available daily. The Old Town is concidered to be the heart of Stockholm. This part of the city was founded in the 13th century and today it concists mainly of 17th century buildnings. 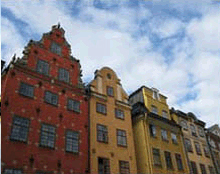 It´s a charming part of Stockholm with lots of restaurants, galleries, coffée shops and narrow alleys to explore. If you have an interrest in the monarchy this is where you´ll find the Royal Palace and the Treasury. In the Old Town you will also find plenty of beautiful churches well worth a visit. The Vasa is the world’s only surviving 17th-century ship and one of the foremost tourist sights in the world. 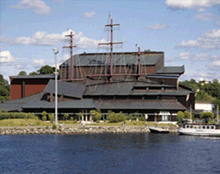 The ship is displayed in a purpose-built museum in Stockholm. She was lifted out of the water after 333 years on the bottom of the sea and has to be kept in a special environment not to fall apart. At the museum you will learn a lot about life in Sweden during the 17th century and the hard conditions people had to work in. Skansen is the worlds largest outdoor museum. Some might call it a park, some a museum and others would lable it a zoo. It is really all in one. Take a stroll through the Town Quarter that shows what a Swedish town looked like in the mid-19th century or visit the Zoo with Nordic wild animals like the brown bear, elk and lynx. There is also an Aquarium with monkeys, snakes, lizards and other animals not normally found in the Nordic fauna. 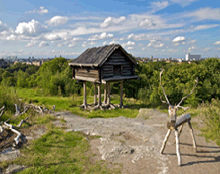 A day is easily spent at Skansen, and even that might not be enough. The Royal Palace is one of Europe’s largest and most dynamic palaces! Here you will find, except the Royal Family’s official residence, the Treasury with the regalia, the Tre Kronor museum that portrays the palaces medieval history and also the changing of the guards. The Fjäderholmarna are first mentioned in official documents from 1381, when Bo Johnsson Grip, the viceroy of Sweden, bought large areas of Lidingö together with “waestra fyertholman” (West Fjäderholm). At that time, Stora Fjäderholmen was the only one of the four Fjäderholm-islands that was visible above the waterline. This walk gives you a nice and cosy feeling of how Stockholm used to look under the 18th and 19th century. 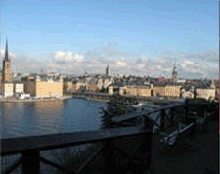 The view over Old Town and Riddarfjärden is amazing! I recommend you to start at Slussen and walk down Hornsgatan. Turn right at Pustegränd, walk down the stairs and then left at Bastugatan. This district is really beautiful with old houses, steep hills and cobble stoned streets. You should definitely lie down under a tree in Ivar Los Park as well. The Combination Travle Pass includes both the yellow and blue routes. You can switch between the two routes at three different stops (marked on the map). 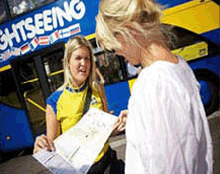 Hop aboard one of our open top buses and explore Stockholm and its sights at your own pace. Our buses stop at carefully chosen spots including the City Hall, the Wasa museum, Skansen and many other popular sights. Read more about Strömma kanalen here. Welcome to Sweden’s greatest feat of engineering! 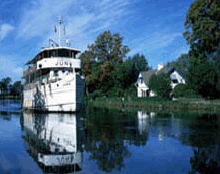 The Göta Canal has also been named Sweden’s Greatest Wonder – a festival for all the senses, and you’re invited! A warm welcome to yet another great canal summer! 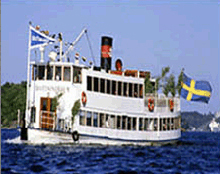 The Göta Canal is open from 2 May to 2 October 2011. We’ll travel under fifteen bridges and pass through two locks connecting the Baltic Sea with Lake Mälaren. Departure point changed due to reconstruction of Strömkajen! 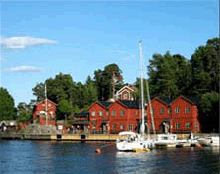 From Monday, September 27, 2010 the tour departs from Nybrokajen only. 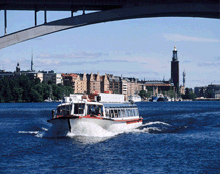 With the Stockholm Card in your hand you can choose from 80 attractions in Stockholm. Browse excellent museums with art, aristocrats, world heritage, Vikings, the Nobel Prize, technology, and design. Ride a sightseeing boat or ferry, the subway, an SL bus, or a streetcar. The city is yours. Read more about City Bikes here.